Alex D. Sweeney, MD, brings a seasoned medical perspective to the AHRF Research Committee. He is double board certified in Otolaryngology – Head and Neck Surgery as well as in Neurotology. 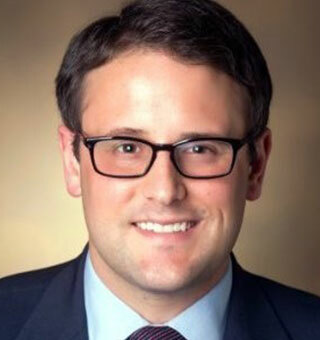 Currently, Sweeney serves as an Assistant Professor in the Bobby R. Alford Department of Otolaryngology – Head and Neck Surgery and the Department of Neurosurgery at Baylor College of Medicine (BCM). He also is an Assistant Professor in the Department of Surgery at Texas Children’s Hospital, as well as the holder of the Dorothy L. McGee Endowed Chair in Otolaryngology at BCM. He earned a BA at the University of Pennsylvania, where he was a member of the 2000-2001 Ivy League Champion Penn Quaker Football Team. He earned his MD at BCM and then completed a fellowship as the Michael E. Glasscock III, MD Fellow in Neurotology at the Otology Group of Vanderbilt University. He is a Fellow of the American Neurotology Society as well as the current Vice President of the Houston Society of Otolaryngology. His areas of particular interest and expertise include hearing loss, cochlear implantation, and tumors of the ear, temporal bone, and skull base. He has published in a variety of medical journals and is a member of both the Alpha Omega Alpha Honor Society and the Gold Humanism Honor Society.